There are 4260 posts in this topic. You are on page 85 of 86. I think it will be more enjoyable for you based upon your comments. I was feeling the same way and now it’s much better. Plus it felt like it spotted you a freebie as if you didn’t have to do anything to start a mode. I think that it makes it easy and more enjoyable for the game on route with the factory default setting that way. However for a collector it’s feels like something is missing when you are just in constant modes all the time with no incentive or goal to do anything to have to start them. See what you think and post back up your thoughts as it may help others too. I’m curious as to what you think. Turned off the modes on start and that is a better way to start for sure. But as soon as you hit that shot it’s back to much of the same. Hopefully the code fills in a the missing holes in this game. I did leave the mode start on off. being at .85 already doesn't brew much confidence, . Could see this game being unpopular for tournament players and competitive multi-playing games. 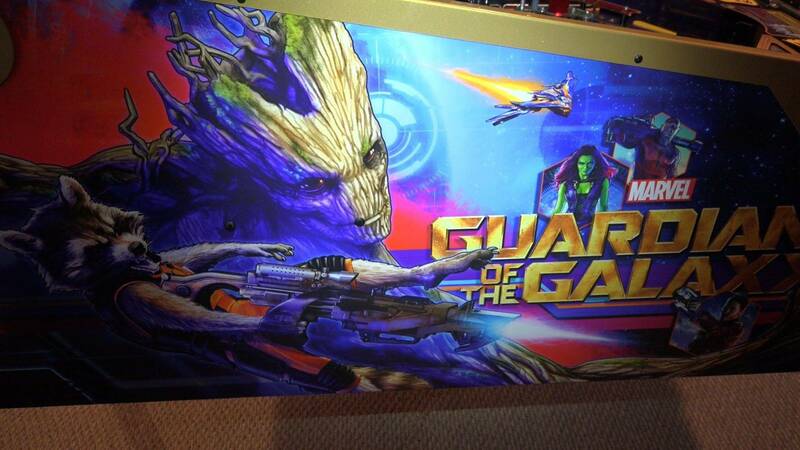 Mainly because your forced to shoot groot, which limits the strategies compared to other games of the modern age. I had a lot of fun with single player games, trying to reach the wizards. it doing good on location, at least for me anyway. Doesn't need to be a great game, as long as it has a recognizable theme attached. It is a great pin in many ways lighting,art package, layout... I for one do not even mind the video clips and the voices attached to them. Although not perfect . 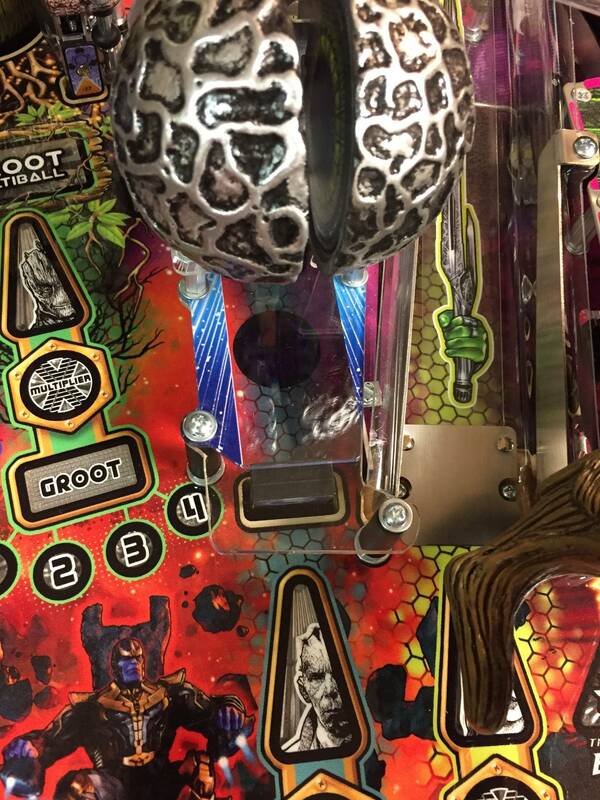 I find the Groot multi-ball fun and entertaining. 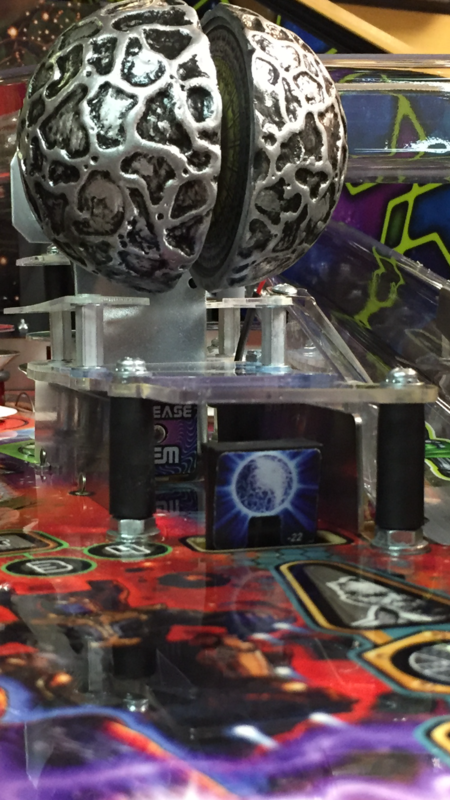 I also really like ORB multi ball and its use of the 3 magnets on the LE. Wild action in Orb Multi. The pin just has this disengaged feeling during the modes. The scoring in modes is out of wack. Also the lack of a call outs for your shots and progress in the modes make you feel separated and not so rewarding. At least for me.. The good news is everything that bugs me about the game can be fixed in programming and that is good news. I hope the next update pulls me into the game. This pretty well sums up my thoughts on it also. The Kids were really pushing for a GOTG but after playing it I just couldn't pull the trigger on one so we ended up picking up SM and a RFM instead. Anybody get their SB #191 bracket yet? I requested it over a month ago and was told it was still being made last week...seems odd. Yup, got mine last week. Send your distro a reminder. I'm glad there was another code update and they haven't given up on this game. I don't think this game has sold that well so far -- I can't find one close to me and and there are a lot fewer GOTG owners on Pinside than Star Wars, for example. The game is ranked at #146 in the Top 100 list which I personally feel it deserved but I am hopeful that the game will be a lot better by 1.0. I'm hoping for at least one more code update before the Allentown show so I can give this game a 2nd try with code that is closer to the final product. 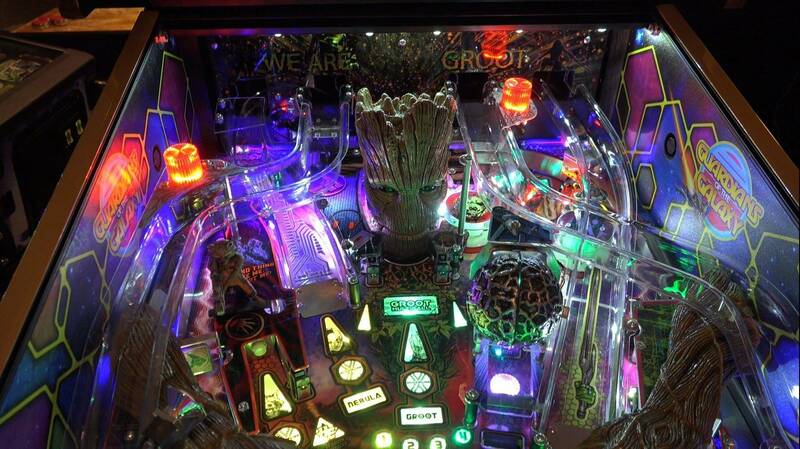 I can assure you that GOTG is not a #146 game.. It should be somewhere in the #40 and up with the .87 code. I rank it around #30..
Say what?! 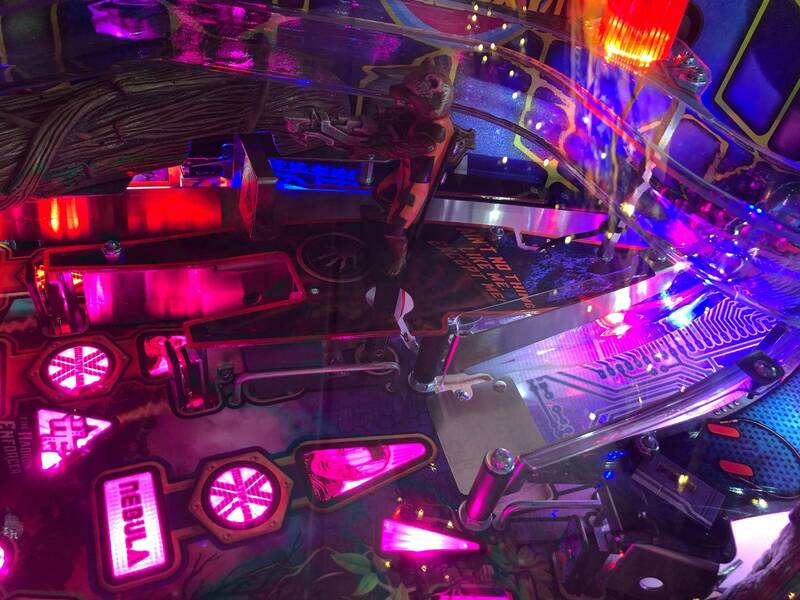 Top 30 of all the pinball machines ever created? I actually think it's lucky to be a top 200 game, given how new releases usually have inflated rankings. That code is an outright mess. Yeah, there's room for improvement, but they painted the game into a corner pretty early with some odd decisions. It’s on it way. By the time 1.0 is released it will climb its way into a nice spot. Is GOTG still using voice overs, I don't see original movie voices in the patch notes? The reason I ask, is b/c I own GB and STLE, and in STLE I very clearly notice when its not the original movie actor like the voice of admiral when you hit the flipper/fire buttons & during game play, and I don't much care for it (love they added the voice pack from Karl Urban, I mean its really good!!!). On GB almost all the voice is from original movies and it really sales the entire experience & Ernie Hudson call outs! I mean come on, sound to me is a bit part my ownership and its "my opinion" and I understand my opinion doesn't match everyone else's. To me its like a cover band playing AC/DC, Metallica,Kiss, Aerosmith, etc... on a pin vs the real band just doesn't feel right. btw STLE end game sound should have been Spock Prime/Leonard Nimoy's voice over Kirk's. Now on GOTG was a wonderful, funny, colorful movie with some great sound music & great quotes, still not sure why Red Bone's Come and Get Your Love is not in the mix, which in the opening scene of the movie set the tone for the rest of the movie, of all the songs it baffles me as to why its not available, license maybe. I will wait on code but I cancelled my pre-order due to Sterns release direction still not happy looking at the code 0.87. I hope they fix it, but highly doubt they fix the music in between modes and voice overs, I noticed the voice overs in Iron Man, x-men etc Marvel pins get hosed on voices. Otherwise I hope they release a great Jurassic World. 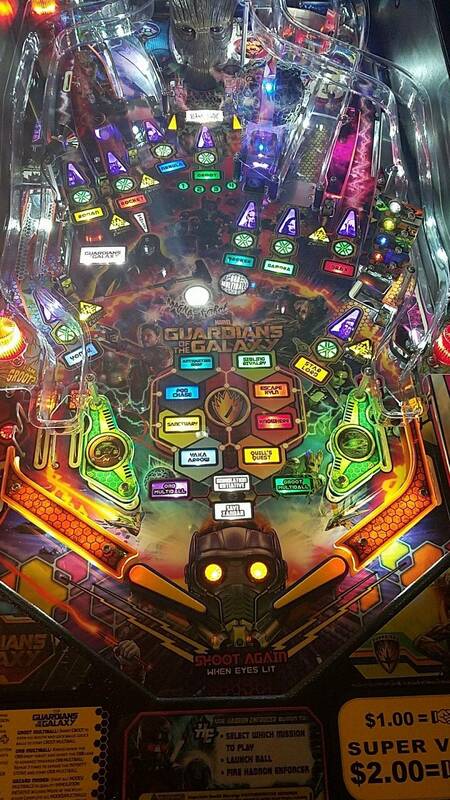 If they do fix GOTG will buy one. Not here to bash, we pay loads of money for these pins, Carry on. I’m sure it will move up as code improves. Not going to debate the spot, but the initial code was crap and it deserved to start way down the list. I’m looking forward to playing it again as it continues to improve. I 100% agree I gave this pin to my kids for Christmas and the Code was trash!! I do feel that this game is way better now than the #146 it is at... I could care less about the top 100 list means nothing to me. Hopefully the code keeps going as I am kind of stuck with this one for the long run.. I've been working on the sound replacements and put Come and Get Your Love as the Quill's Quest music along with many other changes. See my post here as of .85. Working on porting everything over to .87 now. Thank you very much for posting and keeping us informed! Much appreciated. It is actually better for the game if it is ranked low at the start, negative ratings from people that have never played the machine are less likely. The game is pretty solid so over time the ratings should go up. We love ours. My only complaint is long ball times (same as MET) so I have reduced the ball save time. I believe that any game with less than 800 ratings should not be listed in the top 20. 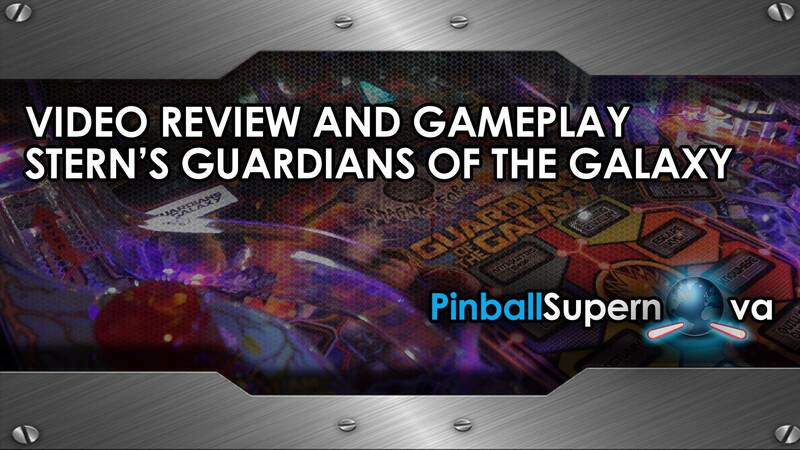 Not enough genuine Pinsiders have had access to play the machine to give a genuine rating. Stops all the BS, haters, owners and people with multiple accounts influencing the ratings. Given Lonnie's more recent track record can we really expect this? Think about it. You're expecting the game and theme integration will be at least on par with dwights 1.0 code on Star Wars. It simply isnt going to happen. At the very least they need to balance the scoring. It's the most unbalanced game out there right now. It's been left that way for too long. The movie clips without voice and other voice actors for callouts is simply disgraceful. Something they could get away with dmd. But this era with the screen.... unacceptable. They needed to really spend that extra coin if needed with lisencing to at least get the sound with the clips. i remember reading this about... TWD ! That’s like comparing apples to oranges. I’m just going on precedents. We only know what we know. Lonnie is no Lyman so this isn’t going to do a Met or twd. Any recent efforts with Lonnie involved have been less that satisfactory. Lonnies most recent game before GOTG is AS and it is great, just needs a final polish for a few bugs. Kiss is not a joke either, its pretty damn good.....same as AS pretty much. None of the problems on GOTG are unfixable either. 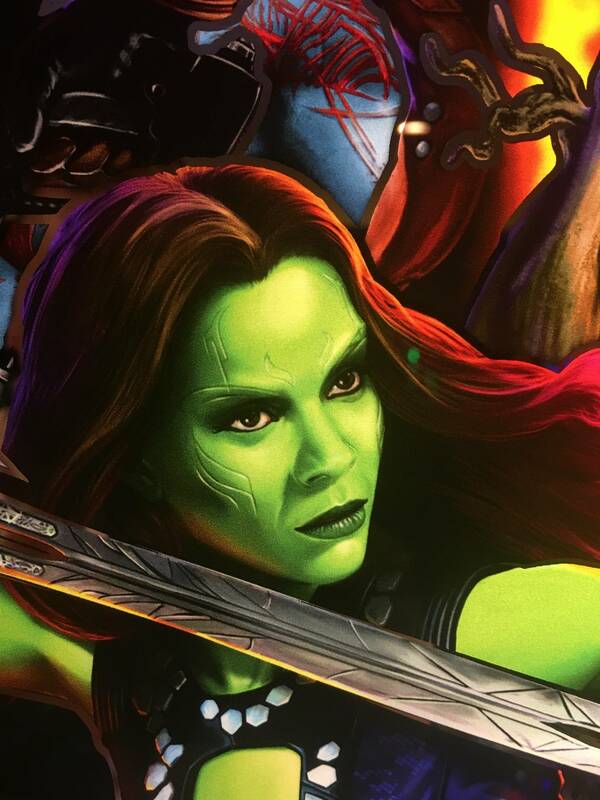 Lonnie isn't Sterns best coder but he can and i believe will make GOTG a good game. Dwight does good work for sure, but truthfully im not a fan of his multipliers and way too complex rules. It's a disgrace. It's a travesty! It's a gosh darn unabashed apocalyptic nightmare! GOTG doesn't use the real actors voices? This has never happened before! GOTG will never be great, but it can be good. This .87 update is a step in the right direction. Relax people, it's only pinball. I don't care about the actors or voice actors. That has no bearing on the actual gameplay. What is super annoying is that the game NEVER FREAKING SHUTS UP. You start a mode and it's constant movie quotes that are independent of what you're doing. It's so unbelievably lazy and sloppy. But that's still not the main issue, that's just an annoyance. The real problem is that the scoring is wildly imbalanced and it plays super long. For a game that plays long, balance is very, very important, because you need variety. As it is now, the game lacks any dynamic feel. Shoot Groot. Do it again. Again. Again. 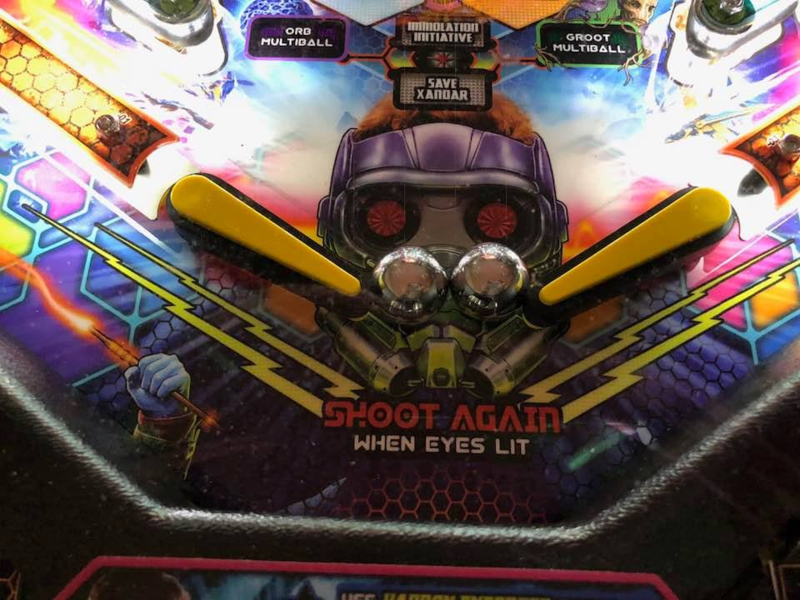 Even in multiball, do it again! Stuff can be improved, but they've ignored some glaring issues and that's fair cause to worry. I KNEW Star Lord was secretly gay. Actually in the new code you really need to shoot the orb if you want big points. ORB is a fun shot! It is definitely a good risk / reward shot! I took pinstadium suggestion and turned off the mode start at launch and leveled the game out a little more (I had the bubble jammed against the top of the tube) and it definitely changes things. 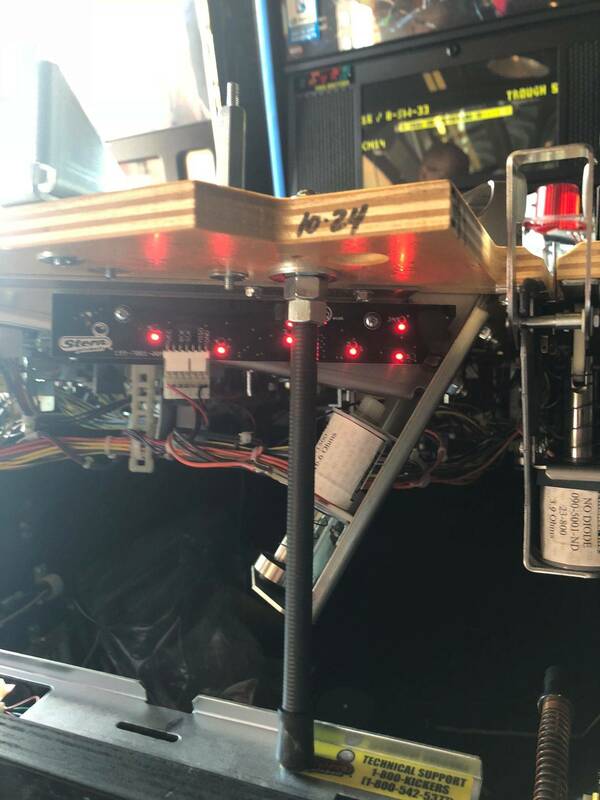 I'm still well over 7 degrees but I get a lot fewer org magnet flings out the left outlane now, I think it is because the ball is travelling a little slower coming out of the orb release and gets stabilized by the magnet more. I have the Pro though so the Prem / LE may still fling it more. I just picked mine up last week but so far it's a lot more fun than I thought it was when it first came out. Cleland sound work certainly helps a lot too! I was really disappointed to find out that it was clips without voice. Subs for call outs... well I'm not a fan of that either but I get it. The way ST:TNG was done was probably the best ever for voice call outs (using original cast for custom calls) but extremely rare and probably will never be done on a pin again. Using voice clips helps tie in the theme. Sure, game play is important but I love a well rounded package with game play, music, voice and art. Having any one of those fail miserably really brings down the entire package in my humble opinion. I think Star Wars has nailed it and the code works well with the clips. GOTG, boo. This is a must and should be the default settings. I wonder how many people actually feel that way. I personally like being able to select my mode and start it off of the plunge. I don't recall this being complained heavily about in Aerosmith, KISS, AC/DC, Star Trek, Mustang, etc. all of which allow mode start right off of the plunge and yet GOTG is getting all this animosity? In fact, requiring you to do too much to start a mode has historically more often been ripped apart by pinside and it's apparent effect on the play style feeling like chopping wood, i.e. Transformers, Xmen, Spider-Man, etc. My guess is that the better player you are the more you want the mode start disabled, casual players will struggle to get a mode started and many wouldn't even figure out how they are supposed to start one. On the top of my wanted list for the new code is the ability to shoot the scoop and finish the mode when you have qualified the mini wizard requirement for the mode you are in. Personally I think it more relates to what else there is to do in the game - -games like TSPP, LOTR, GOT, etc. you have to build up and earn that mode start but there's lots of other things to do along the way like building playfield multipliers, shot multipliers, getting multiballs set-up, etc. 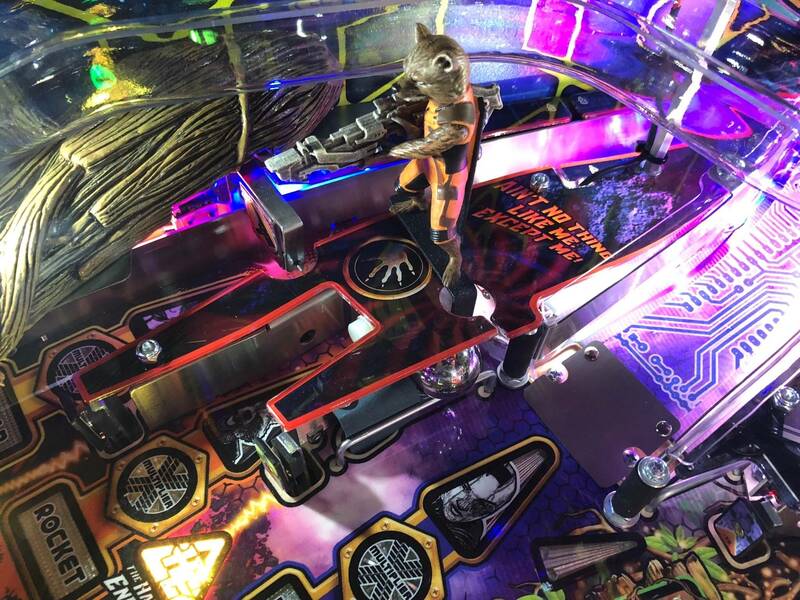 GOTG just doesnt fell like it has many options during non-mode gameplay (rocket 2X scoring, shot multipliers, and the 2 MBs) as compared to many other modern pins . Yes, I was speaking strictly about GOTG. I bet that when my wife and other non-serious players play it now that I've turned the option off they will not like it as much. 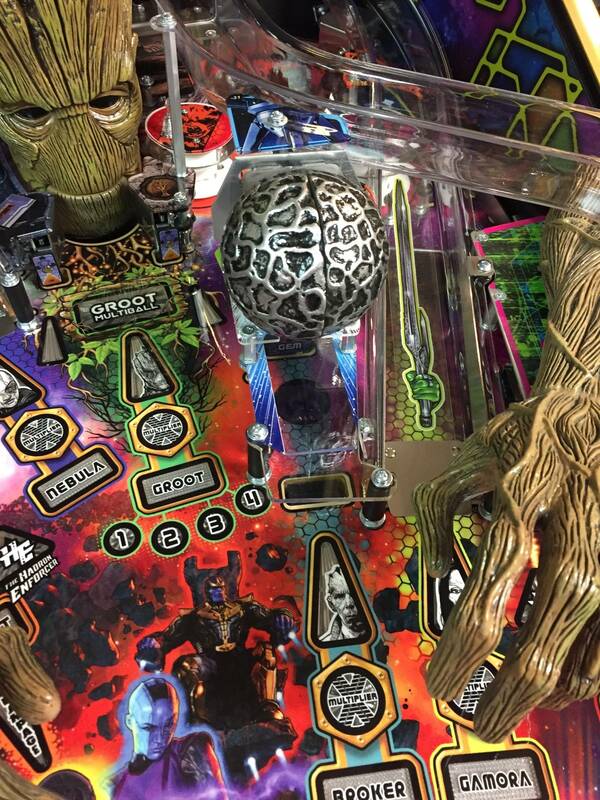 Sure you can still shoot Groot and the Orb shot is fun and satisfying but nothing else really does much. Not sure how that compares to AS because I've not played it that much. Has anyone else experienced two balls being ejected into the shooter lane at times? We have a game out on route that sometimes kicks two balls out at once. 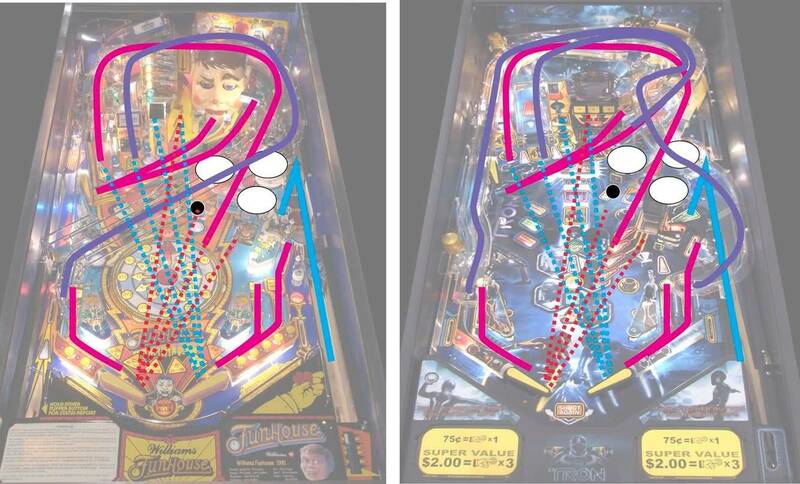 It isn't a switch problem where it double ejects, it is actually two balls coming out at once. What I have found is that it seems the weight of all six balls pushes the first ball up too far sometimes. All of the optos are lit, as well as the fault opto since the first ball is just a bit higher. This causes two balls to come out. It only happens once in awhile. I dropped down the trough a little bit to lessen the angle, hoping this would keep the balls from pushing so hard. Just curious if anyone else has seen any issues with this. Assuming this is not Quill's Quest mode where it's doing this (that is a 2-ball mode), try lowering your ball eject power. I had a similar issue on my GB, and lowering the power made it go away. Thanks, it isn't Quills quest. I'll try the lower ball eject power. Check and make sure the balls are not magnetized. Has anyone else experienced two balls being ejected into the shooter lane at times? We have a game out on route that sometimes kicks two balls out at once. It isn't a switch problem where it double ejects, it is actually two balls coming out at once. This happened a few days ago on mine. 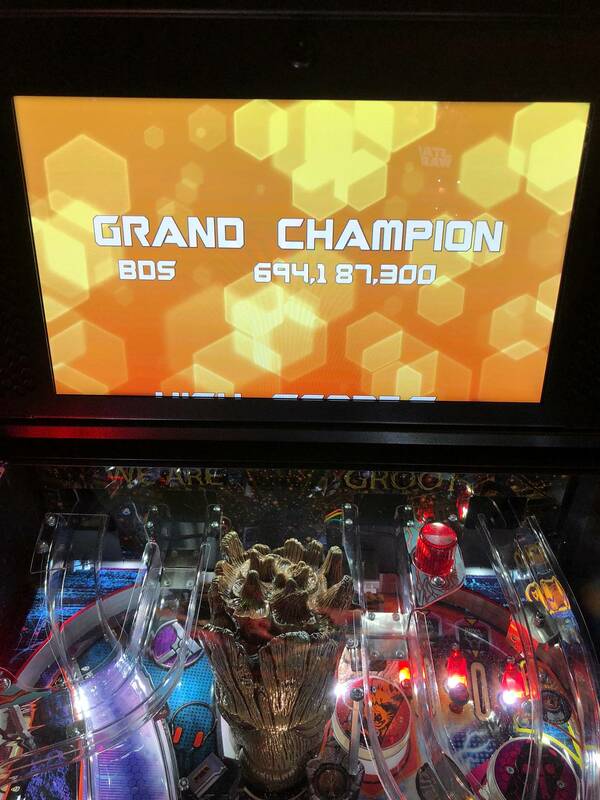 My daughter got a double eject - I probably wouldn't have known but she beat my son's best score with the help of the two balls, so it has been brought up non-stop by him as a 'void game'!! I didn't think much of it to be honest but will have a look at the eject power (all on defaults at the moment). The more I was thinking about it last night, I don't think it was the eject power. I was popping the balls out manually with the coil plunger. Doing this manually was still popping the two balls out, but only when they weren't lined up in the trough properly. Meaning they were pushed in just a touch too much, making ball number one up in the air a little bit. 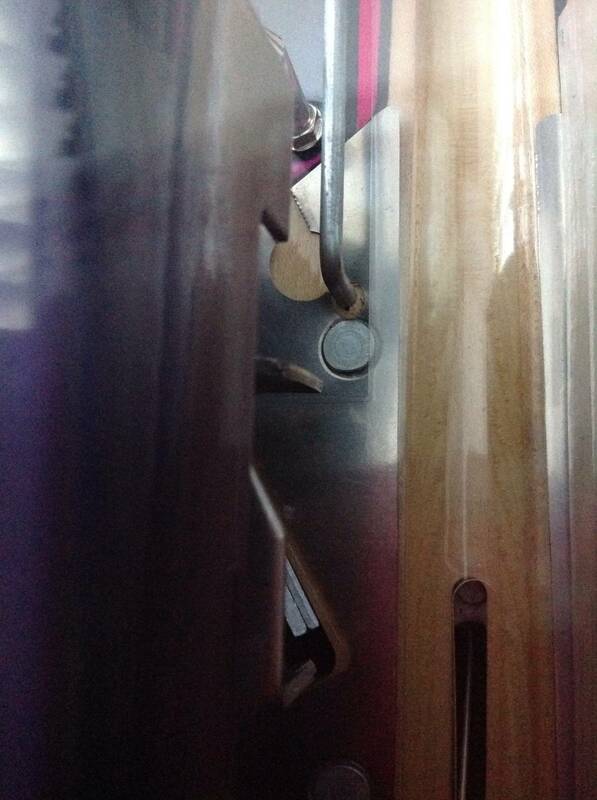 Is one ball sticking to another because they are magnetized? Switch out the balls and try. 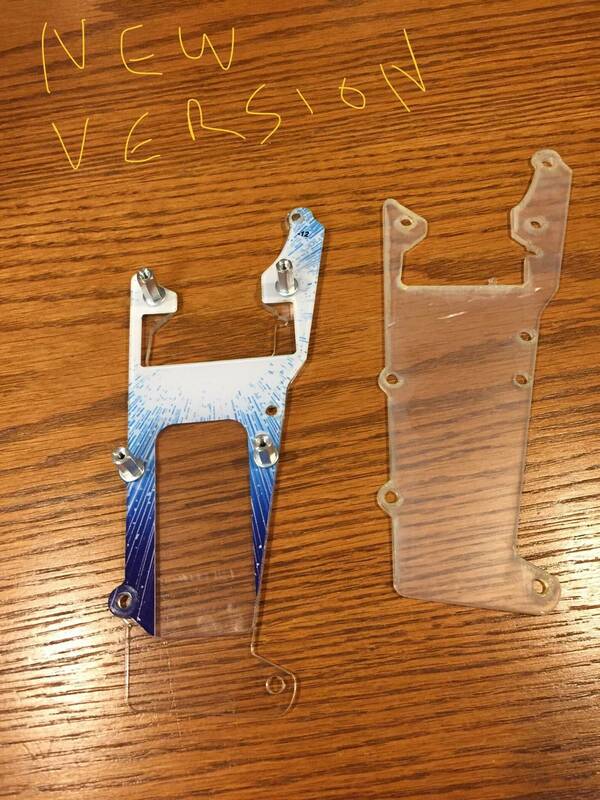 Going to try swapping them out, I think I was overthinking the trough issue. May be just as simple as magnetized balls. Thanks for the replies guys. How long does that take? My game is only a few weeks old! Balls can weirdly become magnetized. Who knows? Sometimes new games double plunge balls until sometimes until the game is broken in. This happened on my SW, Sm new PF, Met? Anyone with similar experiences? There is a metal tab on the eject side (left) of the shooter. If you bend it a little, so the ball bounces of the tab and in to the lane, the ball will stop bouncing straight back in to the shooter trough. This is common on new Sterns. What happens, the first ball is ejected in to the shooter lane, and the next ball takes its place. The first ball bounces back in to the shooter so now there are two balls there on top of each other and no ball in the shooter lane. Machine ejects two balls out. B/Ws had the same issue.